Minimize drain bias line resistance, and ground return resistance. How many supplies do you actually need? The following material is written with the preconception that you are using FETs or HEMTs as the amplifying device and they are enhancement mode devices with gate and drain connections. If you are using HBTs you might have to rethink some of the free advice. A MMIC amplifier is limited on how much bypass capacitance it can carry on-board, usually in the neighborhood of 10 pF on each bias connection. This does not usually provide the “filtering action” that is required on the bias lines to ensures stability. Often manufacturers require 100 pF ceramic caps right next to the amp, with the wirebonds configured to ensure that the bias signal has to cross the capacitor (not off to the side like the bad idea on this page). Other networks that may be required include “de-Qed” caps which are an RC network, and often 10,000 pF caps in shunt as well (which can be located an inch or two away and it won't matter). You should follow manufacturer’s guidelines, but realize that they might be over-specifying the solution because they are too lazy to investigate what the minimum requirements are. Also, they have no control over how you decouple the supplies and other things you could screw up so belt-and-suspenders may mean better safe than sorry (see next sections). Chances are you will use lab power supplies to turn on your first SSPA. Think about the choices you have. Never use a fifty-volt 200W supply for your gate voltage. Just a slight tweak of the knob when you are biasing up the amplifier and you killed it; find a five volt, 2 watt supply. Also, you need to try out a power supply before you use it. 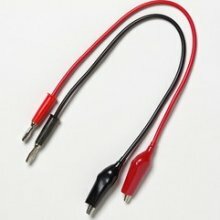 Does turning the knob spike the voltage? Does it feel like it spent a day at the beach? If you push the knob from side to side without turning it does the voltage shift? If so, put it back on the rack or give it to your worst enemy. You need to cherry pick supplies for an SSPA. The gate supply needs to be bipolar when you are saturating a power amplifier, or you need to provide a separate path for current sinking. What does bipolar mean? It means it can sink and source current. Acopian makes some good ones but they are pricey. An old HP benchtop supply is usually NOT bipolar. This one is. How can you tell? 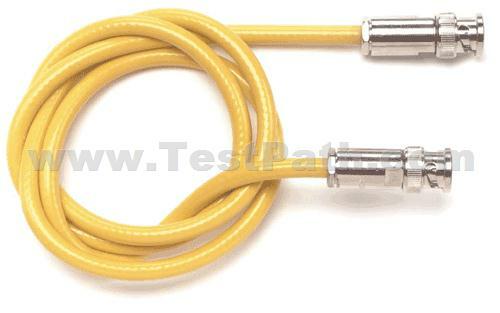 It can put out positive or negative voltage, without changing the wiring. Zero volts is the middle of the scale. So what is the problem if you ignore this advice? If you set up the gate under small-signal conditions the gates should draw no current. Then as the amplifier saturates, the instantaneous gate voltage starts to bang into its two limits, which are forward conduction (at the knee) and leakage (at pinch-off). Unless you know the exact load line the device is seeing (and even the designer probably doesn't) you won’t know which is occurring, or of they are simultaneous and canceling each other. In a GaN amp, chances are forward conduction dominates, as breakdown is so high. Forward conduction requires that the supply sinks the current. If the power supply is NOT bipolar, it has no problem sourcing leakage current (it will be a “negative” current if you measure it at the VG terminal toward the DUT). But if it goes into forward conduction, the current may see an actual open circuit. In this case the gate voltage will change, and it will be out of your control. “Out of control” is the key phase here, it is a bad thing. OK, suppose you can’t afford a bipolar supply, what do you do? There are two fixes, one easy one not so easy but the second one is “the right thing to do”. Adding a shunt resistor will to the gate circuit provide a return path, but it eats into your efficiency budget if you are honest. An adjustable voltage divider will provide this, you can use a fixed resistor in series with a multi-tap and wirebond it to get the right voltage. On the circuit design, be sure to leave some convenient places to monitor things like gate voltages to help set them up. There is nothing stupider than trying to measure a critical gate voltage across a 10 mil line with a fat probe and accidentally shorting it to a nearby ground. This comes down to a matter of taste, usually older engineers prefer analog (turn the knob) to digital (push the buttons). Digital is great, if you are 100% confident you are not changing the current limit instead of the voltage, or mixing other things up. One stupid mistake and your assembler that worked overnight on that prototype will be doing backflips. And be honest when you blow up the part, don't say "I don't know what happened", if it blew up when you were touching it and there were witnesses, everyone knows you did it. When you are biasing up any amplifier, it doesn't matter how stable the design is, it can be made unstable by capacitive coupling between gate and drain. If you have access to an amplifier design EDA file, you can see this by configuring the total amplifier as a four-port (RF in, RF out, gate and drain bias). Connect capacitor across the gate and drain and see what happens to stability factor… it only takes a picofarad to start singing in many cases. Are you sure you don’t have a stray picofarad between these two supplies? In order to avoid this problem, you need to decouple the gate and drains. “Decouple” means “avoid interaction”. Here are some ways to accomplish this. You should never run gate and drain bias traces parallel to each other. Try to run all of the gates in one direction (south) and the drains in the opposite direction (north). 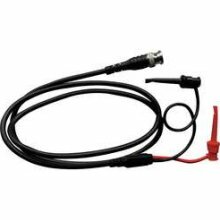 As close as you can get to the device (an inch, not a foot), you need to either 1. get the bias supply into shielded cables or 2. go through a voltage regulator or regulated power supply. A voltage regulator is the ultimate de-coupler, it can provide 60 dB of rejection to stray things that occur on its input (including that gate-drain coupling path). Not that this is good practice, but if you had a gate and a drain regulator, on the supply side of both you could run VGG and VDD in parallel traces and get away with it. 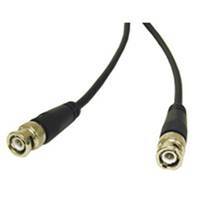 How do you know this is coax? Triax leads cost more than $100 each, but for certain jobs they are essential, especially when you are trying to RF probe an amplifier chip and you don’t have a way to place all of the recommended stability network next to it. You can put 100/10,000 pF caps across pins on a probe card, but in most cases manufacturers leave off ground pads to save money, so what would you ground the caps to? Ground refers to the "safety ground" that is connected to the third prong on the outlet you are plugging things into. Shield is a line that is connected to ground that is placed between conductors that are actually carrying current. Return is the low side of the drain power supply, or the high side of a gate power supply. It carries current. Use a gate voltage divider close to the device. If you bring in -5 volts for the gate and divide it to -1 volt, your 5:1 divider just bought you 14 dB rejection from coupling that you might pick up between gate and drain. Why wouldn't you want to do that? It is certainly possible to put a sense onto a power supply and have it adjust the output automatically to make up for losses in the cables. Many power supplies provide sense ports. We recommend that you DON’T use them, at least while you are troubleshooting your product. Why not? If the sense becomes open, the feedback circuit in the supply will rail the output. You have a 20 volt supply carefully adjusted for 2 volts (for a gate bias). The sense opens, and the supply goes to 20 volts. That could wreck your day. Most MMIC amplifiers have multiple gates and drain connections. Do you need to actually run them back to separate supplies? In most cases the answer is “no”. A good MMIC chip design should allow the same voltages on all of the gates and all of the drains. You will lose your mind and your budget if you actually have to control each amplifier stage separately. But if you have two amplifier chips, you should certainly provide a means for trimming the gate biases separately. All products should provide a safety ground, but you need to be careful. 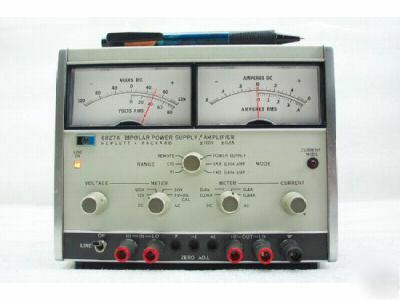 Your product includes two power supplies and an SSPA…. Should you ground the power supply VD- and VG+ at the supplies as well as at the SSPA? NO! There should be only one ground in the DC path, and it needs to be right at the device. You should of course add safety ground to any enclosure, that is not a problem. The drain bias return needs to corral all of the DC current that is returning from the amplifier, you don’t want any of it to return through the AC cords, wall plugs, wiring in the wall or even the breaker panel. Provide a controlled path for the DC return, and understand that the VD- lead at the supply will (by design) not be at ground potential so keep it protected from anything that could short it to ground or from personnel. New for November 2014: the problem of ground loops is now fully covered on this page. Check it out! This is often a culprit in spurious performance. Sometimes called a ground loop problem, people using that nomenclature are are often audio people trying to get rid of a hum from amplifiers that are picking up the AC cycle frequency (60 Hz in the US). The problem as it applies to amplifiers is as follows: by not taking care in separating power supply return paths, small voltage drops in the common gate/drain return (perhaps 100 mV) will affect the voltage between the gate and source. Field effect transistors are voltage-controlled current sources, a small error on the gate-source voltage can put you in a world of hurt on the drain current. Most engineers know this but it is good to review it. You should probably follow manufacturer's instructions for biasing up power amplifiers. But what happens when you have more than one amplifier and they are from different suppliers? Don't panic! FETs are depletion mode devices and typically a gate voltage of somewhere around -1 to -2 volts is required to keep the drain current from being over driven. The rule of thumb is that you should bias up the gate first (to the operating point, or closer toward pinch off). Then when you shut down the amp, be sure to turn off the drain before the gate. In practice, you may get away with ignoring this sequence (perhaps you plan to shut off both supplies "simultaneously" which is not actually going to happen when you consider what that means on a microsecond scale), but it is good practice to follow it. One of these days we will discuss power supply sequencing and interlock circuits. If something goes wrong on a power amplifier you can minimize the collateral damage by setting the drain power supply current limit to no more than what you expect the DUT to draw when it is driven to saturation. And when you are turning on a single amplifier at a time, you might consider clamping down the drain current accordingly. The gate current limit can be a lot lower, maybe 100 mA is good practice. If something goes wrong, you don't want to pass an amp though a tiny trace and melt it. There are at least three mitigations for power supply transients. The first one is to mount large capacitors on the power supplies if you need to turn them on or off. The caps should be tens of microfarads, so they can drink up the entire transient. A second method is to put a semiconductor clamp on the voltage, such as a thryristor, zener diode or SCR circuit. We don’t have the expertise to tell you exactly how this is done, you are on your own here. If you gave voltage regulators in the SSPA, you have built in some excellent protection. Do you need another reason to use voltage regulators in your design? For a lab demo, here is what we suggest. Install a set of switches between the SSPA and the and the lab supplies. Turn on the supplies before you throw these switches, and turn off the switches before you turn off the supplies. Of course, you will have to remember the to throw the switches in the correct order, and you are on your honor to report when you forgot this. Unless you have a no-talking rule in the lab and a second engineer always watches you carefully when you turn on the SSPA, and you don’t have a power failure, this line of protection is not guaranteed. Electrostatic discharge is often blamed for solid-state power amp failures. Your first line of defense is room ambient humidity… if you can keep that up at 50% or so, chances are you won’t be killing devices. But better safe than sorry. Always check that the wrist strap is grounded (they sell audible detectors for this). If possible configure ESD mitigation into your design. Can you add a grounded quarterwave stub to the RF terminals? ESD is not likely to get past that. Did you ever consider that balancing a power amplifier could make it less susceptible to load pull? Read about it here.